As a writer, the late Tom Wolfe manifested a truly subversive idea: that humor is fundamentally conservative. It emphasizes -- subtly, implicitly, but nevertheless perceptibly -- the traditional picture of mankind and his place in the world. He is unique in dignity but given to proliferating folly. He takes himself way too seriously. His social nature produces absurdities that he often cannot see. For these and other reasons, he willingly submits to petty tyrannies which in retrospect seem almost inconceivable. The humorist need only (no easy task, of course) expose the absurdities, pierce the self-importance, illuminate the folly, and ridicule the willing submission to humbug and phoniness. Nor should we neglect how frequent a trope in good humor is the jape at flawed authority: the bumbling bureaucrat, the feckless father, the officious colonel, the dreary clergyman. In a sense, humor is conservative because it has proven to be one of the most powerful methods of demonstrating that oldest of all conservative precepts: original sin. The Fall of Man, among many deductions, inevitably renders him an object of mirth. 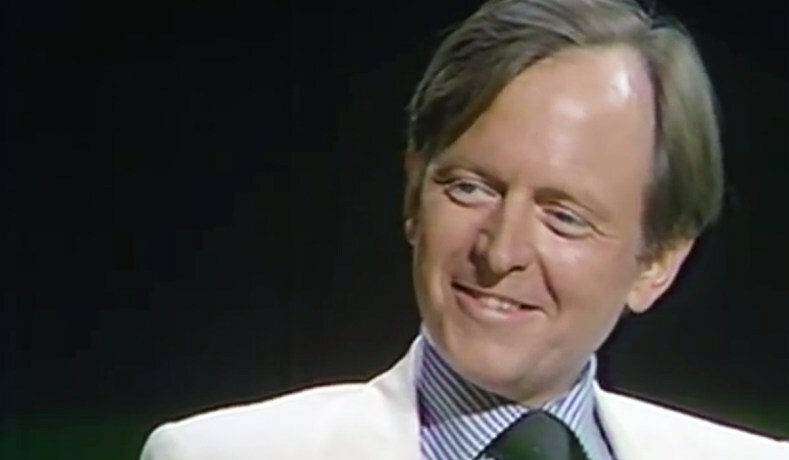 Tom Wolfe had mirth in superabundance, and he did not fail to delight his readers with it. Wolfe’s riotous send-ups of intellectual, artistic, political, literary, and social fashion, so superbly satirized progressive pomposity, that it actually took a couple decades for progressives to realize it. For instance, many readers (even to this day) appear to have taken The Electric Kool-Aid Acid Test as a kind of celebration or endorsement of that early hippie lifestyle. La Wik will only allow, delicately, that Wolfe was, “in some key ways different from the Pranksters.” You think? Those key ways include, but are not limited to: (a) dressing normal, (b) abjuring narcotics, (c) observing common bourgeois proprieties, and (d) regularly punctuating his descriptions of their antics with rapier thrusts of satirical brilliance. The counterculture took itself quite seriously, on the level of philosophy; Wolfe did not. He only took it seriously on the level of curiosity. What a strange creature is man and his works, that he could produce such a spectacle as this! In time (certainly by 1975’s The Painted Word, though one marvels that anyone failed to perceive it years earlier), even the dullest Manhattan critic abandoned all hope and conceded that, alas, Tom Wolfe was not one of them. But by then he had already made a successful career out of gutting them with his lively pen. His position was secure; no amount of denunciation, sneering, sanctimony or churlishness could dislodge him now. Next he plunged himself into a nearly decade-long study of American masculinity, especially of the military sort. This superlative (and still very funny) literary turn began with the unforgettable fighter-pilot essay, “The Truest Sport: Jousting with Sam and Charlie”; includes “The Tinkerings of Robert Noyce,” which, even 35 years on, is still reckoned the best short history of Silicon Valley available; and culminates in 1979’s The Right Stuff, which rendered the American test pilot and early space program in heroic and hilarious realism. We might say this period of Wolfe’s career did for middlebrow American writing what Reagan did for American politics: re-established it on a foundation of high-spirited patriotism. therefore evolutionary science cannot fully explain man. One need only read a few of the prominent reviews of this book to observe that it struck a nerve. Even into his 80s, Wolfe retained a sublime knack for puncturing fashionable pretensions. Last month, America lost one of her finest chroniclers of that mysterious and wonderful creature called man. Tom Wolfe was a writer who grounded his work on diligent observation, and produced some of the funniest, most delightful and most illuminating books of the past half century. R.I.P. UPDATE: below the fold is a video clip from the late 90s on The Late Show with David Letterman which nicely captures the spirit of Wolfe. No less than Donald Trump himself emerges as a topic of discussion. Tom Wolfe on the Late Show, November 10th, 1998. It was about how modern people do away with tradition (which is a set of behaviors tried and true) to start from scratch implementing half-baked ideas that are a disaster when put in practice. So they have to relearn "the hard way" the wisdom inherited from ancestors. It is like I saw the light after a life of darkness. I had been all my life reading about the wonders of progress and how modern ideology is superior than ancient wisdom. However, I recognized the truth when I saw it in the words of Tom Wolfe. The truth is like the love of your life: you recognize it when you see it. This was the first step to make me the Christian reactionary that I am now. R.I.P Tom Wolfe and thank you. Well, OK, but The Bonfire of the Vanities is clearly his chef d'oeuvre. Better written, more honest, and more prescient than anything by Zola. Steve -- I don't have a high opinion of the novel as supreme literature. My dear friend Bill Luse shares your disapproval. That is that. Still, I read a few novels every year, with profit; but mostly I prefer prose nonfiction to fiction. This may be a character defect in me, but I'm gonna stand by it. Nobody -- he had that effect on a lot of people. Present with humor and spirit old truths, the patrimony of our civilization, and by George, these foolish apes will come around. I only ever read The Bonfire of the Vanities, many moons ago, but I can attest to the wit and humor, the keen insight into human foibles, which Wolfe employed in his writing. As to how it fits with the rest, and his larger intent, I can't say. It was one of the books that convinced me that I had a long way to go before I should pretend to be able to write good fiction. Steve -- I don't have a high opinion of the novel as supreme literature. My dear friend Bill Luse shares your disapproval. Okay, that doesn't make sense. Steve approves, you disapprove. With whom am I in agreement, or disagreement? For the record, I've never read The Bonfire of the Vanities. Perhaps you sent me an excerpt with which I found fault (or favor?) You, Barnett and another friend keep giving me reading assignments; the last, from that anonymous friend, came in the mail a few days ago. Demons by Dostoyevsky. 714 pages. I'll probably be dead before I find time (which will no longer exist for me) to return to Wolfe. In my favor, I read The Electric Kool-Aid Acid Test and The Kandy-Kolored Tangerine-Flake Streamline Baby when very young. Don't remember much about them except (vaguely) that they entertained me. We remain dear friends. P.S.-Preferring non-fiction to fiction is not necessarily a character defect, but it might mean that you are not A Man in Full which, ironically, is set in Atlanta. I find it interesting that the novel as a particular form of human creative endeavor had to wait until the 18th century to show up, and until the 19-20th century period to flower into a mature pathway. I suspect that this had (as much as any other factor) to do with the invention of the printing press and the subsequent common education of the masses so they were literate, but I could be wrong. Maybe the novel is just a degenerate form of literature altogether? Maybe the ideal is, or ought to be, producing the creative word out loud to a live audience, in the style of homeric poetry, or court ballads, or the Bard's plays? Just musing "out loud" as it were. Yeah, that was altogether too obscure. My point was that Bill thinks very highly of the novel, as a literary form (as I assume Steve does), while I remain a bit skeptical of it. Which is one reason I focused on Wolfe's nonfiction. Maybe the ideal is, or ought to be, producing the creative word out loud to a live audience, in the style of homeric poetry, or court ballads, or the Bard's plays? I think it's defensible position to take, Tony. That said, I have enjoyed many novels, including Bill Luse's. I don't actually think it's degenerate, I just threw that out as a hypothetical. I think that some novels are great works, worthy of keeping company with The Iliad and Macbeth. I think that as an artistic product, it has its own place that is a definite good in the world of man-made goods - the world would be poorer if the novel had never been created. I plan on using a goodly share of my future continuing to read them. Unlike Paul, I prefer a novel over a non-novel more often than not. That said, I also think that it may be somewhat easier to allow for degeneracy in a novel, though perhaps not easier than in song, of which we have positively degenerate breeds. What I had in mind though, specifically, is that the mass-production novel (possible with the invention of the printing press), allows for an author to "interact" with a reader effectively ad infinitum: as many readers, as many times as they choose to pick up the book, without any more effort than interacting with just a few dozen. And I use "interact" with the scare quotes intentional: the author doesn't know who reads the book, and cannot say when they are getting it or just getting bored, etc. The "audience" of a book is a sterile, not-present "them" from whom the author is insulated by many middle-men. With a poet who recites epic poems in the homeric style, or a bard, or a playwright, or simply a singer, though, he interacts with the audience directly, he notices when people fidget, or get up to walk out, or pick up tomatoes to throw, or are rapt and spell-bound. The interaction is direct, (excluding recordings, that is), and personal, in a way that is not present with a novel. Indeed, reading a novel means walling yourself away from the rest of humanity for some hours, perhaps many hours, being if not anti-social, at least non-social. Can the novel be the popular written form of literary endeavor specifically for our age of individualists who want pieces of social life only in small clumps, on their own terms, cleansed of messy reality? Is that why we like it? I don't think that's ALL that makes novels enjoyable, but I wonder if it's a big part. And whether we need to push back against that, as if it were an illness or a temptation. I completely disagree about a playwright, Tony. A playwright is at least as isolated from his audience as a novelist, and always has been, and has at least as potentially "degenerate" or non-individualistic relationship with the audience. Heck, movie screen writers *are* playwrights (no, you don't get to exclude recordings), which says it all right there. Talk about the potential for degeneracy in an art form...And even before the age of film, a playwright didn't have to interact with anybody. Nor did an essay writer, for that matter. Nor the writer of satire. Just think of Jonathan Swift, that highly unpleasant misanthropist writing his savage non-novels in increasing isolation from his fellow man. If an artist's interaction with his audience is, per se, an artistic good in any event, and I don't see why it should be so regarded. Striptease dancers interact personally with their audiences. Great poets don't. And so? Indeed, reading a novel means walling yourself away from the rest of humanity for some hours, perhaps many hours, being if not anti-social, at least non-social. Yeah, but that's true of any long work. It's also true of the writer in the act of composition. I imagine Paradise Lost kept Milton in his cave for quite a while. As for the potential for degeneracy, a novel - like poems, plays and movies - is only as degenerate as the writer who crafts it. We try to cleave to that which ennobles. The novel's been around for quite a while (think Don Quixote)and is no doubt a modern evolution of the narrative art form, which covers a lot of territory. For me the road from Chaucer to Faulkner may not be straight but it is one road, and even includes such brightly lit rest stops as Witness, another narrative every bit as mesmerizing as any novel. As for Paul's preference, I think he should join me in reading Dostoyevsky. Which I haven't begun. 714 pages. I've heard, without knowing for a fact, that his stuff is like an essay in novel form. Paul can get the best of both worlds. In theory. On the other hand, as O'Connor said (she's a fiction writer, Paul), you have to let people take their pleasures where they find them. I don't entirely agree, Lydia. If we go back to pre-printing press days, the playwright was virtually always part of the cast as well, and was always tinkering with the work in response to the actual, on-the-ground results. Shakespeare too fit that model. Other playwrights in the early modern era may not have been in the cast, but they always interacted directly with the cast and producer, and got the audience's response at most at one remove. But regardless, plays at least are meant to be acted out, so that the WORK itself is performed before the audience, live, which is also true of homeric recitations, ballads, and so on. I suspect that few if any of the great works like Antigone would "make sense" to a person who read it only, and had NEVER watched a performance of one so as to be readily able to imagine the action. It is true that there are early instances of long written works of narration, including Le Morte D'Arthur. However, they seem very few, I think we have to get to the 18th century before we can list a dozen of them. And of course there is all sorts of debate on what constitutes the true, proper "novel", for which I will grant that there may well be a gradual development from Canterbury Tales to Robinson Crusoe. "I've heard, without knowing for a fact, that his stuff is like an essay in novel form." Not really. Yes, they are "novels of ideas," but they rely a lot on character and dialogue. Dostoevsky was not only a philosopher of sorts, he was a pretty astute psychologist. I'm not sure Demons is the best place to start in reading him. As a long time Dostoevsky reader I'd go with either Notes From Underground or Crime and Punishment, preferably the former. I see Notes... as both a prelude and a sort of key to the later big novels, as embedded within it is an indirect but nevertheless quite trenchant critique of modernist liberal individualism, a critique which is fleshed out further in the later works in various ways. I read The Brothers Karamazov years ago and enjoyed it greatly despite the length. Much more recently, I read Solzhenitsyn's In the First Circle, also a sizable work. So I do have some familiarity with Russian doorstop-sized novels. My favorite novelist might be P. G. Wodehouse. It's not just the fantastic humor and unforgettable characters, but also the supreme elegance of the prose. Some of the best English sentences ever composed appear in his novels; and while Wodehouse is often dinged for the light and trivial subject-matter, his plots are often marvelously-crafted. Wodehouse always observed principles of good fiction like Chekhov's gun. I hope you enjoy it if you have the time to read it sometime. Wodehouse was, of course, a fantastic writer. His ability to turn a phrase, and to concoct a silly but still perfectly successful plot, were wonderful. I can't decide whether his short stories outshone his novels, though. I kind of feel like Wolfe's facility with poking fun at things, along with his superb command of language, was a lot like taking Wodehouse and ratcheting up the intensity (a bit) and the insight into human society. Or something like that. Maybe, a Wodehouse who got past his 20's and grew up? I take it you mean that it was way too short? I read Brothers K when I was 20 and didn't enjoy it. But it wasn't the length. I read War & Peace a few months earlier and liked it a lot, and it's considerably longer than Brothers K. And I think The Lord of the Rings is way too short. Perhaps I would like Brothers K more now than I did then, but I didn't much like Crime and Punishment either, so I tend to doubt it. Came across a good older intro to Dostoevsky recently: Fyodor Dostoevsky: Insight, Faith, and Prophecy by Rene Fülöp-Miller (1951). While the "prophecy" section is a little dated, in that it deals mainly with Russian communism, it's still worth reading, since he was prophetic about more than communism. The other sections, about Dostoevsky's insights into human behavior and his understanding of religion, are very good as well. I don't anything about the author besides what's in his brief wikipedia entry.